Jhumpa Lahiri was born in London, England and raised in Rhode Island. Her debut story collection, The Interpreter of Maladies, won several awards, including the Pulitzer Prize for Fiction in 2000.The Namesake, her first novel, appeared in 2003 spent several weeks on the New York Times bestseller list. She also received a PEN/Hemingway Award, an O. Henry Award, the New Yorker’s Best Debut of the Year Award, and an Addison Metcalf Award. Her latest collection of stories, Unaccustomed Earth, was also a bestseller. David Albahari was born in Pécs, former Yugoslavia, in 1948. He has published nine collections of short stories and eleven novels in Serbian, includingLeeches ( 2005). His collection of short stories Description of Death won the Ivo Andriç Award for the best book of short stories published in Yugoslavia in 1982, as well as the Balcanica Award and the Berlin Bridge Prize. His books have been translated into sixteen languages. He is a member of the Serbian Academy of Sciences and Arts. Andrew Sean Greer was born in Washington. After the publication his debut short-story collection, How It Was For Me, his first novel,The Path of Minor Planets, was published to much acclaim in 2001, and his second book, The Confessions of Max Tivoli, came out in 2004. His latest novel is The Story of a Marriage. He lives in San Francisco. Deborah Eisenberg grew up in suburban Chicago, Illinois. 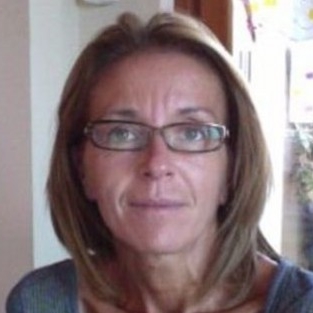 She is the author of four collections of stories, most recentlyTwilight of the Superheroes, and one play, Pastorale, which was produced at Second Stage in New York. The recipient of a Whiting Writers’ Award, a Lannan Foundation Fellowship, a Guggenheim Fellowship, and the Rea Award for the Short Story, she is also a frequent contributor to the New York Review of Books. 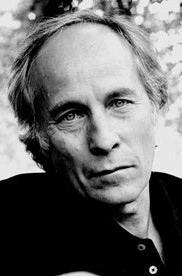 Richard Ford was born in Jackson, Mississippi, in 1944. He has published five novels and three collections of stories, including The Sportswriter, Independence Day, Wildlife, A Multitude of Sins and The Lay of the Land in October 2006. Independence Day was awarded the Pulitzer Prize and the PEN/Faulkner Award for Fiction. His long-awaited new novel, The Lay of the Land, is his third Frank Bascombe trilogy, following the bestselling The Sportswriter and Independence Day. Ingo Schulze was born in Dresden in 1962, studied in Jena and worked in Altenburg as a drama advisor and newspaper editor. He has lived in Berlin since 1993. He received the Berliner Literaturpreis and Johannes-Bobrowski-Medaille for Simple Stories (1998). He won this year’s Premio Grinzane Cavour for his great novel Neue Leben, published in 2005. His story collection Handywas awarded the 2007 Leipzig Book Fair Prize. Ingo Schulze is a member of the Akademie der Künste Berlin and of the Deutsche Akademie für Sprache und Dichtkunst. He lives in Berlin.